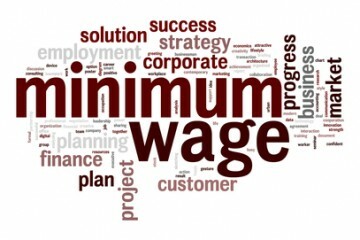 The dilemma with the minimum wage debate is not that it is too low – it’s that people require it too live. It should be viewed more as a failure of the education system, there are plenty of jobs available for people with a bachelors degree of better – as represented by the unemployment rate for that cohort of only 3.6%. The high price pf education is forcing many people out of the ability to get an education and thus enter the workforce at a high level. The other concern is the rising amount of elder workers still in the workplace, Many of these people should not be working – but rather are being forced back into the labor market by desire or by necessity. I think it is by necessity – the last decade of boom and bust cycles has left many individuals ill prepared for retirement. Couple this with the increasing costs of healthcare and we have many people relying on jobs that will not cover the costs of a long retirement. Rather than focus on employers raising the minimum wage – we need a long term solution to the income imbalances between those with education and those without. Unfortunately I cant see that happening, so we will be left with anger being directed at the wrong people. For all the money being spent on education (and educators pensions) – why do we have a workforce ill prepared for the jobs that are available?